States would pitch for an assurance from the Centre on compensating them for revenue loss in case it ventures out to include petroleum products under the Goods and Services Tax (GST). 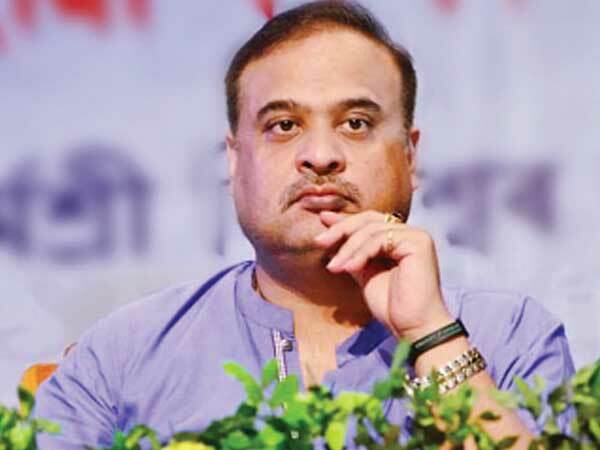 Speaking to Financial Chronicle, Assam finance minister Himanta Biswa Sarma (in pic) said if petroleum products were brought under GST, there would be loss to both central and state governments. “In that case, compensation has to come from the Centre to states. So, from somewhere the money would be recovered. That is why I do not think bringing petrol and diesel under GST is a solution. For states, it is all about compensation. If we get that it is fine.” Sarma said. In the wake of rising global crude price that let to local fuel prices skyrocketing, petroleum minister Dharmendra Pradhan had repeatedly said the government was working on a long-term solution to keep prices in check and protect consumers from the jolt. He had suggested inclusion of petroleum products under GST, the uniform indirect tax structure rolled out last year. Inclusion of petrol and diesel into GST, subsuming most indirect taxes as in case of other items, is expected to substantially impact the government revenue. The hit would be more for the Centre that has gradually increased its share of taxes by raising excise duty on the two auto fuels between November 2014 and January 2016. It more than doubled its excise collection from the two products from Rs 99,184 crore in FY15 to Rs 2,42,691 crore in FY17 and is set to hit the same number in FY18. Industry experts said that Centre’s share of taxes from the two products could fall by over Rs 1 lakh crore annually to just about Rs 1,30,000-Rs 1,40,000 crore if petrol and diesel are brought under GST. Similarly, the hit on states revenue could be around Rs 50,000 crore annually. The hit will be more for states such as Assam, Andhra Pradesh, Maharashtra, Kerala, Madhya Pradesh and Tamil Nadu that levy high VAT of over 30 per cent on petrol. The all-powerful GST Council comprising all state finance ministers with the Union finance minister as its chief is expected to meet next month and discuss the possibility of including some of the petroleum products like natural gas into the new tax structure. It is not clear at this point if inclusion of diesel and petrol would also be considered. “The GST Council meeting could happen next month sometime in the third week. The agenda note is, however, yet to circulated,” a government official said. Experts are not ruling out imposing a cess to collect revenue for compensating states. This means that governments both at the Centre and states would try to maintain current level of tax rates thus leaving very little gain for end-users. As oil refiners and retailers such as IOCL, BPCL and HPCL would be allowed to take input tax credit on operational expenses under the new regime, consumers would stand to gain marginally from this. “Replacement of the excise duty on fuel with GST, keeping state levies unchanged could be one of the ways to make a beginning. While fuel companies would then be entitled to an input tax credit, many users of fuel such as transporters may not be eligible for credits,” said MS Mani, partner, Deloitte India. “The impact on consumers would depend on the rate of cess adopted for fuel products in addition to the GST of 28 per cent as that would need to be compared to the existing levies. It also needs to be seen whether at least some of the states tweak their VAT rates to unburden consumers,” he added.